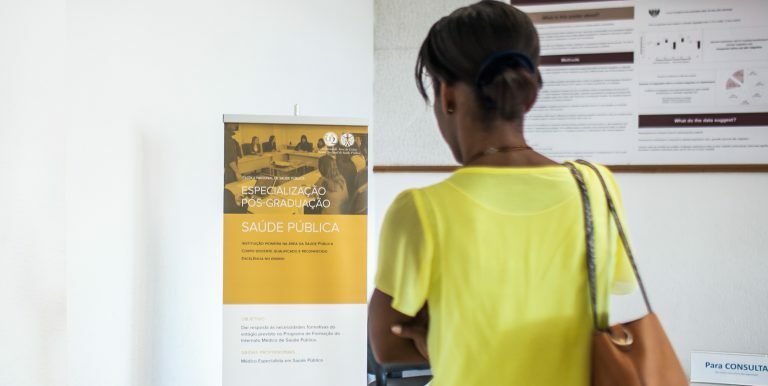 The Specialization Course in Public Health of ENSP-NOVA intends to respond to the training needs of the Public Health internship, established in the Training Program for Medical Interns in Public Health. The Medical Internship of Public Health is a process of specialized medical training, allowing the Interns who have been approved to join the Public Health Specialty. The Specialization Course in Public Health is one of the mandatory internships of this Training Program, which aims to provide full-time theoretical and practical training in the field of public health. It aims to deepen the knowledge and develop the skills essential to the future exercise of a doctor specialized in public health. According to the current legal frame, the training should be provided by an Institution of Higher Education with the recognized competence of the Medical Association to administer the professionalization course for public health physicians. The Specialization Course in Public Health was designed to correspond to the curricular part of the Public Health Master, with the necessary adaptations to the objectives of the Medical Internship and the terms of reference for the internship of the Health College Public of the Doctor’s Bar Association. Once successfully completed, each student, at the end of CESP, will have accumulated 65 credit units (ECTS). Upon successful completion of the Specialization Course in Public Health, the medical intern may apply for a complementary training project, designed with the objective of providing the complementary training necessary to obtain the master's degree in public health.